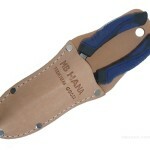 Now you can get this leather tool holder separately, to use with your small hand tools or to have as a spare sheath for your mini hori hori. 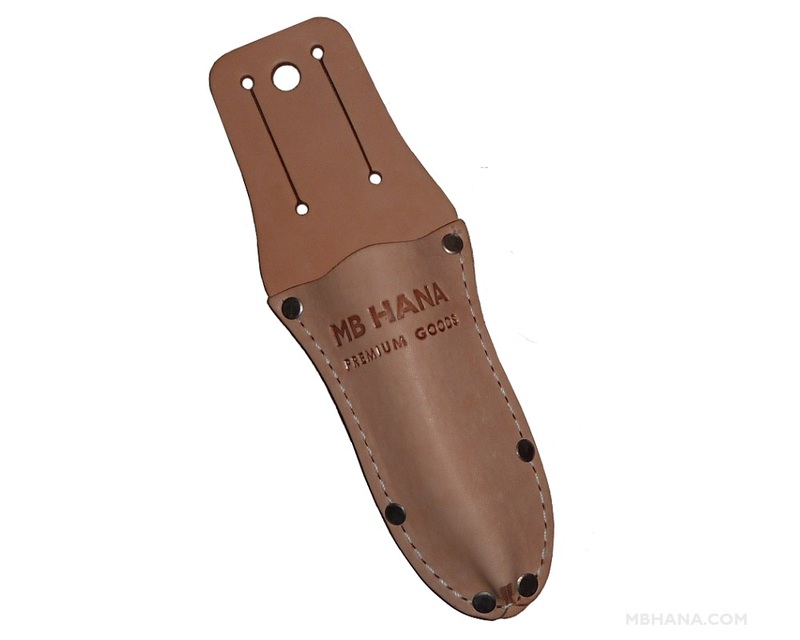 It fits most pliers and pruners and makes a nice holster for carrying MB HANA’s Garden Scissors on your belt when you are working outdoors. It is made in the USA of high quality, top grain saddle leather with strong nylon stitching and reinforced with star rivets. 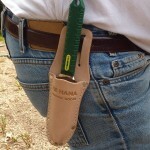 8.5" long 2.75" wide 1" high, pocket depth 4.25"